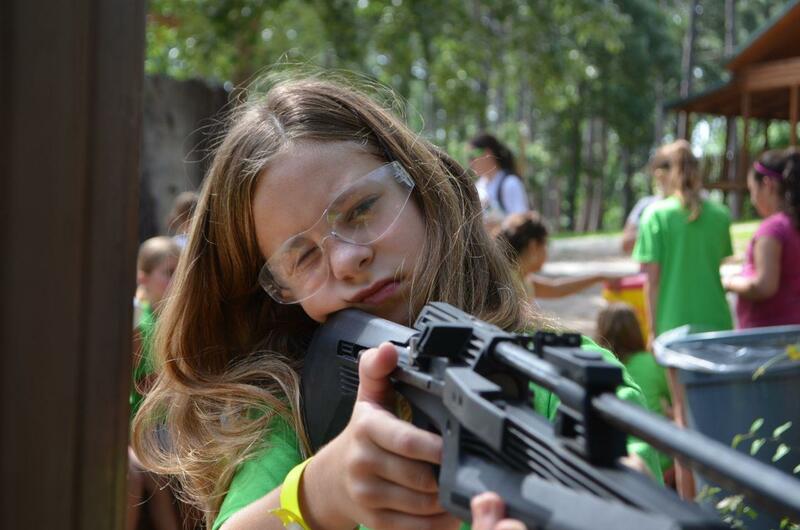 In the past couple years I’ve introduced thousands of kids to shooting pellet rifles and archery through our summer camp and scores to rimfire rifles in our hands on marksmanship camps. 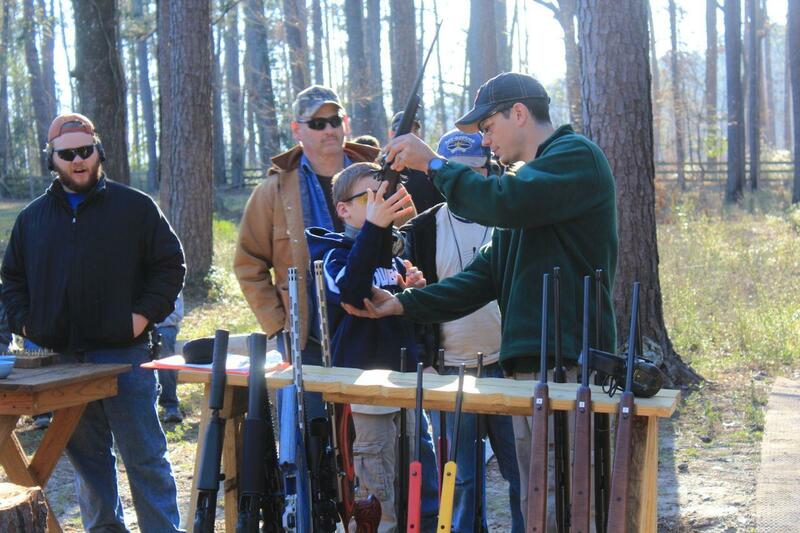 Here are several tips to help you teach your youngster to shoot straight. 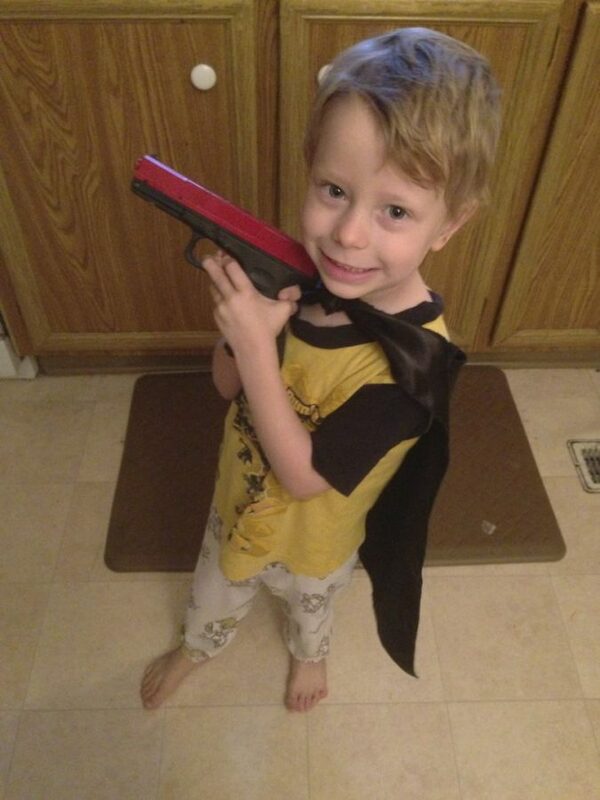 Kids are never too young to learn gun safety. I quiz my 2 year old all the time: “What do you do with daddy’s guns?” Answer: “Don’t touch!”. But I’m always asked when kids are old enough to shoot. Answer: It depends. All kids are different, my 14 year old daughter didn’t shoot until we were in the adoption process when she was 13. My 5 year old shot his first shots at 4 years old, but he’d rather find roly-polies under the range trash can than shoot. My 8 year old has been shooting for a year, but I make sure I’m one on one with him to be as safe as possible. Every kid matures differently and it’s the parents’ responsibility to be the judge on readiness and safety. My 3 year old superhero with an NLT SIRT. Yup, finger is on the trigger, not yet ready for the real thing. Baby steps. But once again, baby steps. Gun safety is first. That’s starts at home, with Nerf and toy guns. Demonstrating muzzle awareness and trigger discipline. Next comes laser trainers like LaserLyte and Next Level Training SIRT pistols. After that comes airsoft on the front porch with the proper safety precautions and reactive targets. After that paintball markers at trees and targets are fun. Next comes BB rifles and pellet rifles. 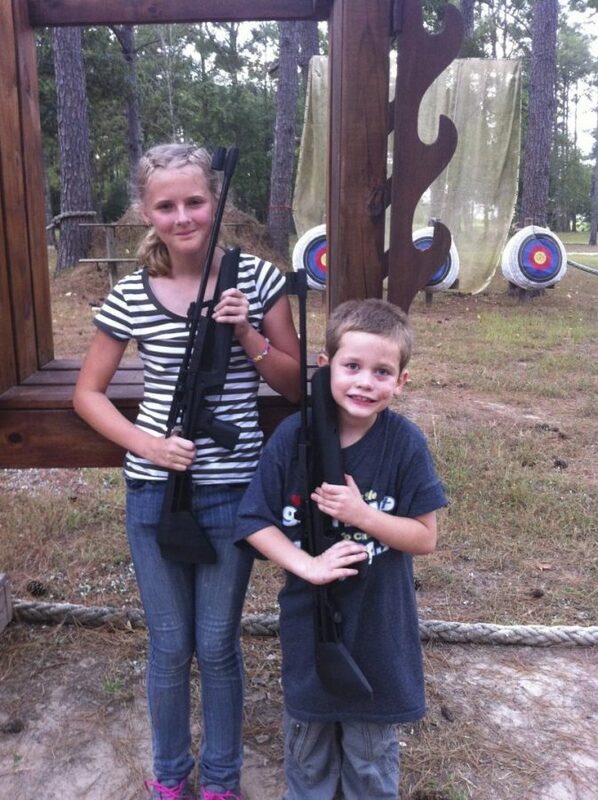 After kids have demonstrated a maturity and safe handling with those we can introduce rimfire rifles. Working your way through the baby steps, you should discover if your child is cross eye dominant. It’s not a big deal, but you need to know so you can raise them shooting correctly. A simple test having them look through their hands at a target while keeping both eyes open, then bringing their hands into their eye will show you which eye they use. If you discover they are left dominant while right handed, congratulations! You have a left handed shooter. From now on all actions need to be done off of the left shoulder because you can train your hands, but you cannot train your eye. Failure to recognize this early will lead to much frustration with their improper form and completely missing targets due to the dominant eye not looking through the rear sight. Cross eye dominancy will look like this. The shooter is right handed, but left eye dominant. They need to learn to shoot left handed because you can’t train your eye but you can train your hands. The Savage Arms Rascal is hands down the best .22LR youth rifle I’ve found. The size is perfect for kids ages 5-13, the controls are easy and intuitive. It has the coveted Accu-Trigger that is both easy and safe for younger fingers to manipulate, the peep sights are easy to use, it doesn’t have a unsafe/cumbersome “cocking knob” like the Cricket, and it has an easy to load spring loaded plastic feed ramp that is easy to use.